by Stirling PropertiesPublished October 3, 2016 May 18, 2017 Leave a Comment on Mid-City Market 100% Leased! Stirling Properties commercial real estate company welcomes new tenants to Mid-City Market in New Orleans, Louisiana, and is pleased to announce that the center is 100% leased. ASI Federal Credit Union will occupy the last remaining 2,541 square feet of space. Build-out of the space is underway, and the company plans to open in January of 2017. This will mark the 2nd Mid-City location for ASI Federal Credit Union. 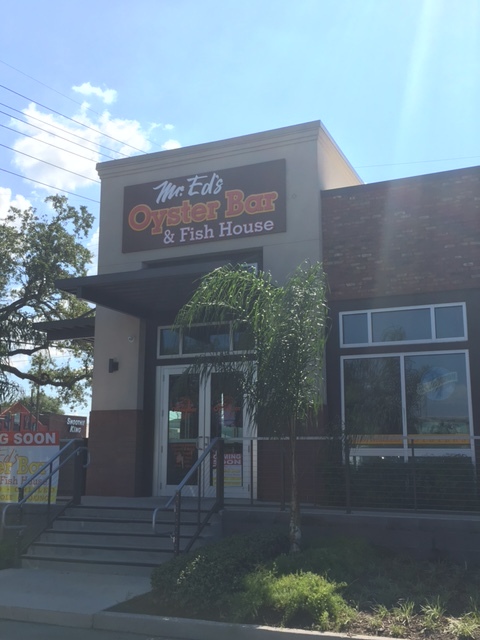 Previously announced Mr. Ed’s Oyster Bar & Fish House successfully opened earlier this week, marking the 4th location for the popular New Orleans restaurant. It occupied the former Pei Wei Asian Diner space. Stirling Properties Sales & Leasing Executive, Joe Gardner, handled both transactions. 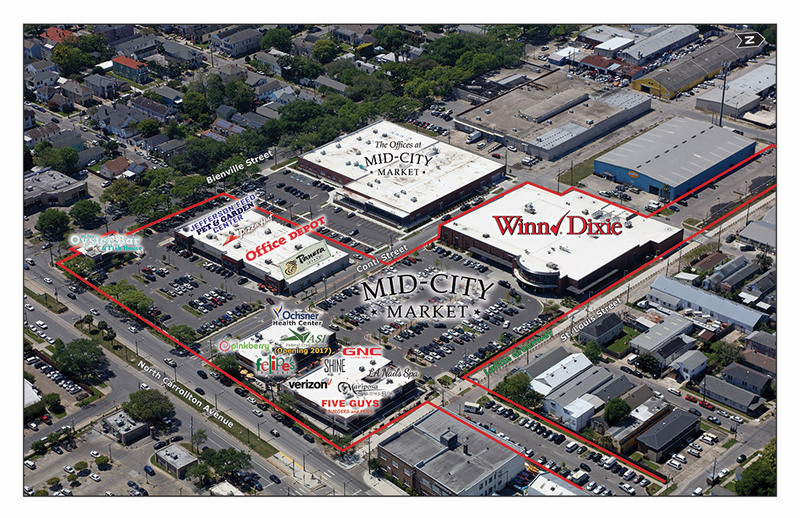 Located on 6.5 acres at the northwest corner of North Carrollton Avenue and Bienville Street in Mid-City New Orleans, Mid-City Market is a 109,000-square-foot urban infill shopping center. Anchored by Winn-Dixie, the center is home to a diverse mix of local and national retailers and restaurants including Office Depot, Jefferson Feed Pet & Garden Center, Panera Bread, Verizon Wireless, Felipe’s Taqueria, Mr. Ed’s Oyster Bar & Fish House, Five Guys Burgers and Fries, Ochsner Health Center, GNC, Pinkberry, Pizza Hut, Shine Spa + Specialties, LA Nails Spa, and Mariposa Salon & Spa. Stirling Properties developed Mid-City Market and currently manages and leases the center. Stirling Properties broke ground on the development in early 2012 and celebrated a grand opening in July of 2013. Mid-City Market is Stirling Properties’ largest ground-up retail development in New Orleans and represents one the of the most significant retail developments in the city following Hurricane Katrina. Stirling Properties acquired the vacant, blighted site and returned it to commerce after a $40 million investment. Mid-City Market now serves as the retail and restaurant center of the community, delivering new jobs, new tax revenue and new energy to this vibrant corridor. The retail center is credited with creating over 500 new jobs for the area. Mid-City Market was designed to incorporate extensive pedestrian features, contextual urban and adaptive reuse architecture, and to complement the adjacent Lafitte Greenway pedestrian and bicycle pathway, melding the retail center to the culturally rich urban neighborhood and extensive architectural history. Stirling Properties has been at the forefront of commercial real estate management, investment and development in the greater New Orleans area and surrounding Southeast Louisiana region. Stirling Properties has developed more than 3.7 million square feet totaling $465 million since 2010, and currently has more than 114 million square feet of property and land for sale or lease. Other Stirling Properties management and development projects in New Orleans include, Offices at Mid-City Market, Magnolia Marketplace, Fresh Market and Pan American Life Center, just to name a few.